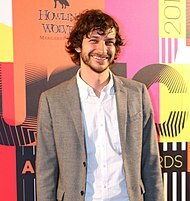 Gotye's single, "Somebody That I Used to Know", came in at number one, spending a total of 8 weeks at number one throughout the year. 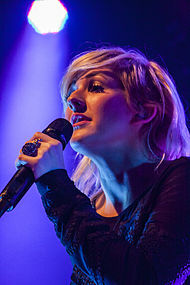 Singer Ellie Goulding, whose single "Lights" appeared at number 5, is the highest-ranking British artist on the list. Barbadian singer Rihanna's "We Found Love" came in at number 69 in 2011 and rose to position 8 this year. She had a total of six songs included on the list, with her as a lead artist on 5 songs. Four of which were from her sixth album Talk That Talk, and one was from her seventh album Unapologetic. 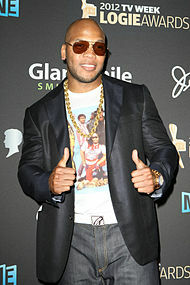 All of rapper Flo Rida's singles off of Wild Ones are within the top 20, except "I Cry", which was not on the Year-End chart but peaked at #6, and would then proceed to be on 2013's Year-End chart. Singer Sia is featured in four songs on the chart, despite not being the lead singer of them. "Wild Ones" by Flo Rida (11) and "Titanium" by David Guetta (24) feature her vocals, while the other two were written by her, "Let Me Love You (Until You Learn to Love Yourself)" by Ne-Yo and "Diamonds" by Rihanna, which charted at 74 and 94, respectively. Three of Katy Perry's singles from Teenage Dream:The Complete Confection are in the top 50, with "Wide Awake" at 15, "Part of Me" at 31, and "The One That Got Away" at 41. Three of David Guetta's singles charted in the top 50, including the hit single "Titanium" at 24. Billboard publishes annual lists of songs based on chart performance over the course of a year based on Nielsen Broadcast Data Systems and SoundScan information. For 2012, the list for the top 100 Billboard Hot 100 Year-End songs was published on December 14, calculated with data from December 3, 2011 to November 24, 2012. At the number-one position was Gotye's "Somebody That I Used to Know" featuring Kimbra, which stayed atop the Hot 100 for eight consecutive weeks. ^ "The Best of 2012: The Year In Music". Billboard. Prometheus Global Media. 2012. Retrieved December 8, 2012. ^ "Hot 100 Songs Music Chart". Billboard. Prometheus Global Media. 2012. Retrieved December 8, 2012. This page was last edited on 28 January 2019, at 23:29 (UTC).